What does $250 a week get you in an Australian capital city? Depending on where you live or what you earn, $250 per week on rent may or may not seem a like a big deal. According to the Rental Affordability Index, however, a person could be considered to be experiencing housing stress if 30% of their income is spent on rent. Which—besides describing most renters in Sydney, right now—means that $250 per week on rent would be the threshold for someone earning a weekly net wage of $830. Data from Flatmates.com.au shows that 73% of share listings created on the site during the third quarter this year were valued under $250 per week, with Adelaide being the best off with 98% of listings cheaper and Sydney —unsurprisingly—the worst with only 38% being cheaper. So what does $250 per week look like in each capital? We selected one listing from each city, as close to the centre as the budget would allow, to compare. To put it frankly, you won’t get a heck of a lot for $250 per week in Sydney. With an average room rent hovering closer to $300, it can be a tough task to find something cheap. Don’t lose all hope, however, as bargains can be had and still exist with 38% of listings falling under the $250 mark in the third quarter of this year. These unicorn listings won’t last long, though, so be sure to get in quick. By Sydney standards, this place is an absolute bargain. For your money, you’ll get a fairly large unfurnished room with bills extra. The communal areas including the bathroom are shared with just one other flatmate. 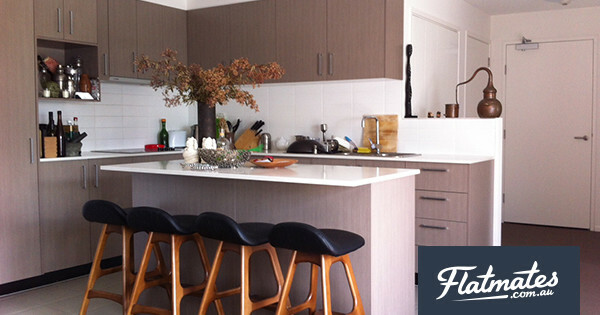 Located in Balmain, the apartment is around 5km west of the city centre. No parking is available and on-street spots are rare. The great news for sharers in Melbourne is that value for money in the Victorian capital is much (much) better than Sydney. With an average room rent of $214 per week, finding a comfortable room in Melbourne for $250 or less per week is pretty straight forward. 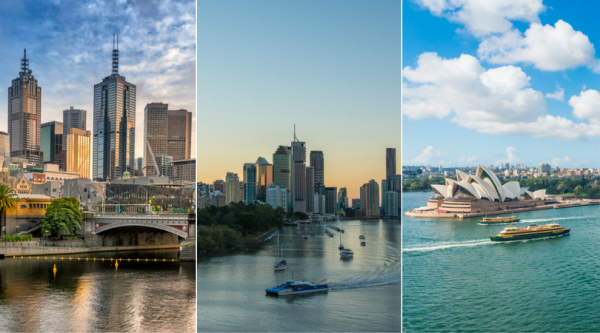 Some suburbs —South Bank, Docklands and the city— can be prohibitively expensive, but those intent on living in these areas should still be able to find something within budget. For $250 per week, your hard earned cash gets you a decent sized room in this trendy shared apartment on Collins Street—smack-bang in the thick of it. Communal areas including bathroom are shared with just one other person and bills are not included. With only three Brisbane suburbs averaging room rents over $250 per week in October, the likely-hood of finding a decent place at a good price is high. Modern apartment blocks closer to the city and larger homes in the ‘burbs generally means you’ll get good value to money in the Sunshine State. At $250 per week including bills and internet, this well-appointed private room in a modern apartment is a pretty good deal. 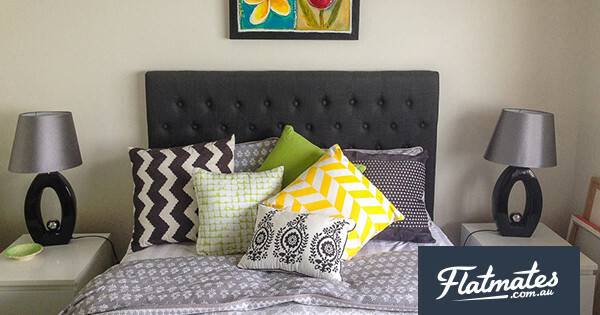 The location is also on point, just a few minutes walk from trendy James St and around 2.5km from the city centre. The apartment is shared with just one other flatmate. Perth is now marginally cheaper than the capitals on the east coast with an average room rent falling below $190 per week in Q3, thanks in part to a recent downturn in the economy—which is good news for those renting. 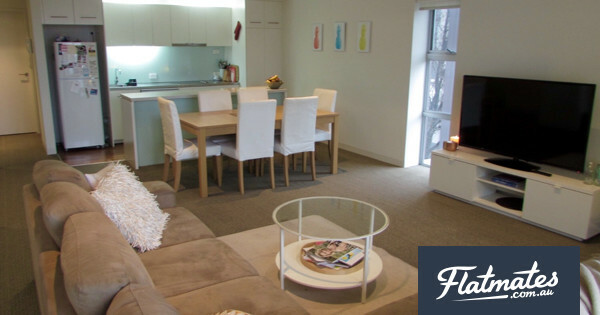 Like Brisbane, Perth features a multitude of modern apartments closer to the city and larger homes in the suburbs. 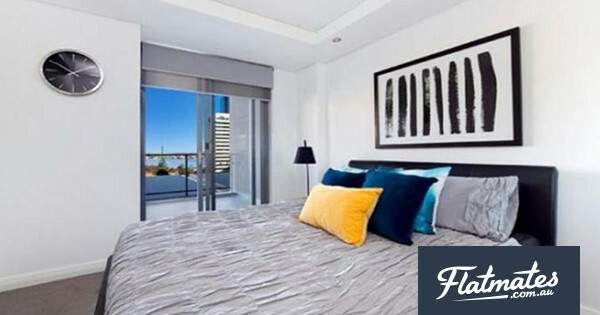 $250 per week will get you a private room in a modern apartment block with access to amenities such as a gym and pool. You’ll also get your own bathroom and the room also comes furnished. Bills, unfortunately, are additional to the rent save for Netflix which is included. With average room rents in Canberra sitting around $194 per week, the story is very similar to that of Brisbane or Perth. Finding a room for around $250 per week isn’t a tough ask, but the level of quality can differ from new apartment blocks to older homes. This private room listing in a modern apartment block is centrally located in Braddon and for the price includes some bills (not internet). 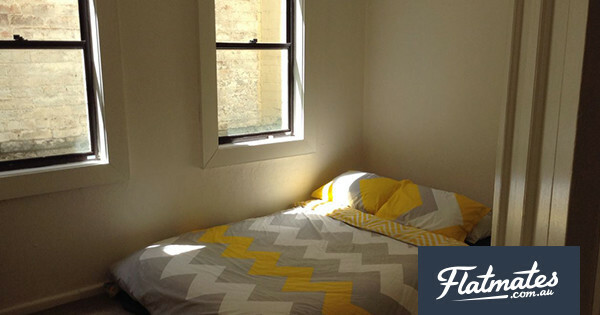 Communal spaces are shared with just one other flatmate, including the bathroom and off-street parking is available. The toughest challenge in Adelaide is finding a room that’s actually $250 per week. 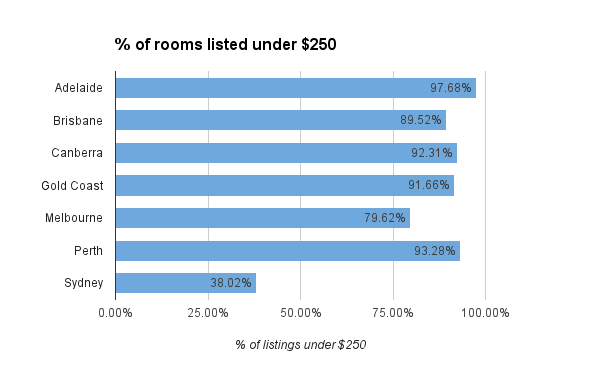 Of the total listings on Flatmates.com.au from July to September this year, approximately 2% listed were over. 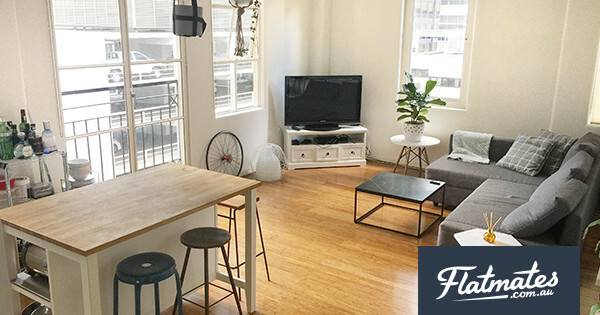 While it’s possible to secure a granny flat or studio a little further out of the centre for this price, sharing a place will ensure you get some pretty sweet digs smack-bang in the middle of the action. At $250 per week this listing—aside from being one of the most expensive rooms currently listed—is located on Halifax St, just a few hundred metres from Victoria Square. The new apartment comes fully furnished with your own bathroom, the rest is shared with just one other person. You’ll also get access to building amenities, which includes a pool. Aaron is the Flatmates.com.au's Community Manager and PR guy. He is an avid supporter and user of share accommodation, currently living with two (lucky) flatmates.